The average age of female divers getting certified to SCUBA dive is about the same as the average age of women giving birth for the first time; between ages 26 and 27. In the United States, women are waiting a bit longer to have children (into the 40s) and are having more children. Having a family and SCUBA diving is nothing new. About 24 percent of all divers have children between the ages of 11 and 17 and many of these children and teens enjoy diving alongside their parents. Women divers looking to start a family won’t be diving during pregnancy. Some dive researchers from a medical fitness to dive perspective suggest women might return to the water between one to three months after childbirth depending on natural birth, complications or surgeries. However, while every woman is unique, there are significant practical considerations, particularly relating to physical fitness to dive, that suggest women may need to wait a minimum of six months after childbirth to return to diving activities. Interestingly, a woman’s fitness level before and during pregnancy has less to do with this recommendation than physiological changes in the body during pregnancy and childbirth. Waiting longer is better – here’s why. During pregnancy a woman’s body changes in many ways. One of the most significant changes relating to physical fitness to dive has to do with the hormone Relaxin which is produced by the body in the ovaries and the placenta. It relaxes the ligaments in the pelvis and helps widen the cervix to prepare for childbirth. Importantly, Relaxin can have the same effect on other ligaments throughout the body and may be present for up to five months after childbirth. Special care is needed during exercise after childbirth. New mothers require plenty of time to rest, eat well and “ease in” to exercise, and even more time to return to diving activities. Bearing children has its own fortunately well-managed risk versus reward. Bearing the weight of SCUBA gear, while maneuvering on dive boats, or navigating surf to shore dive, too soon after childbirth exposes women to potential serious injury. Fitness for diving during this chapter of life continues during pregnancy as appropriate for each woman. Most aerobic exercise can continue as usual becoming gentler as the months pass. When strength training, whether static or dynamic, expecting mothers must keep their heart higher than that of the baby to prevent any oxygen deprivation to the baby. Adjusting workout benches from flat to incline or seated positions is an easy way to accommodate this need. A couple of weeks after delivery, begin with gentle aerobic exercise such as walking for the first month or two. Mothers with surgery, cesarean delivery or spinal injections may need a few more weeks before being cleared by their physician to start exercising. New mothers might also consult their physician before starting swimming or water aerobics. The usual recommendation is four to six weeks for water exercise. For a little while longer avoid jogging, jumping or beginning a new running program. With natural delivery, smooth surface running may be alright if the mother was running before and during pregnancy. Static exercises such as planks, wall sits, bridges, glute squeezes and abdominal contractions are the best way to begin to restore the body the first couple of months after childbirth. Focus on core strength, with special attention to the low back. When it’s time to introduce dynamic exercises, use light free weights or elastic bands before transitioning to heavier modular machines. Perform exercises in a seated position for a few weeks then transition to standing. Restoring joint stability is essential and can be achieved by alternating exercises for opposing muscle groups. For example, perform a seated biceps curl followed by a lying triceps extension or complete a chest press followed by a reverse grip lat pull down for the back. Perform smooth controlled repetitions, avoid jerking on or overextending the joints and using too much weight. Keep repetitions in the 15 to 20 range and let the repetitions dictate the weight rather than choosing a weight that forces fatigue at 12 or less repetitions. Good health and readiness of both parents is essential, especially if the other parent is the dive buddy for the woman giving birth. Keeping in mind that there are specific and different risks associated with a woman’s physiology than that of a man, men have their own health matters. Many fathers take on responsibilities such as nighttime feedings and may also be sleep deprived and run down. A growing family often prevents divers from maintaining topside fitness activities for a little while. Hopefully, new SCUBA diving parents were already physically fit for diving before the arrival of their new bundle of joy and were able to maintain a minimum level of fitness during pregnancy. Many dive resorts provide childcare, and since its o.k. to breastfeed after diving activities, with a bit of planning and proper fitness preparation, diving parents can safely get back in the water about six months after childbirth. Wall Sit with Medicine Ball Bounce – Wall sits are a good static exercise to restore a woman’s body after childbirth. Begin sitting against a wall with the low back in a neutral position, abdominals contracted, feet hip distance apart, and joints at 90-degree angles. Remember to breathe regularly. Use a stop watch or timer with a goal of holding this position for one-minute with one-minute rests between three sets. Increase time gradually until the wall sit can be held for three minutes. Then to add more demand (and fun), incorporate additional assisting muscles in a greater way by bouncing and catching a ball between the knees. A medicine ball is not necessary – any ball will do. Medicine balls can be found in varying weights. Begin with four to eight pounds and 25 bounces. Reaching high overhead adds upper body strengthening and abdominal focus to the exercise. 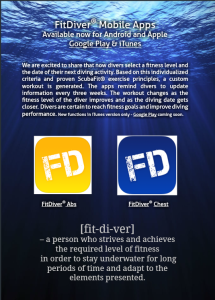 “Fit Divers are safer divers, tend to dive more often, and are more likely to advance dive training”. This has been a consistent message of Gretchen M. Ashton since she started ScubaFit® in 2006. “An infographic is fun way to remind divers of the importance of physical fitness for diving and help divers implement fitness into a diving lifestyle”, says Gretchen. Top 10 Fitness Tips for Scuba Diving has been a popular dive club presentation and the poster is a great way to help dive centers bring a positive fitness message to diving clients and staff. 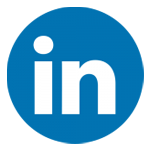 “Over the past 10 years, we’ve worked to create awareness by writing more than 130 articles, stories and blogs in online and print diving publications; including our own FitDiver® Magazine. Our early research involved reporting on data demonstrating a health profile of the diving community and making recommendations for overall health and wellness. We then researched and created our performance-based programs. To educate divers and personalize fitness programs, we developed the ScubaFit® Diver Course which is approved by PADI® as a distinctive specialty, is independently available to all dive agencies, and is approved by International Sports Sciences Association for continuing education for personal trainers. We co-submitted the specialty as a fitness professional and diver, along with Stephen C. Mendel, multi-agency dive professional, to role model collaboration for the benefit of the diving industry and to improve the safety and longevity of all divers. Available for purchase on Google Play or the App Store.